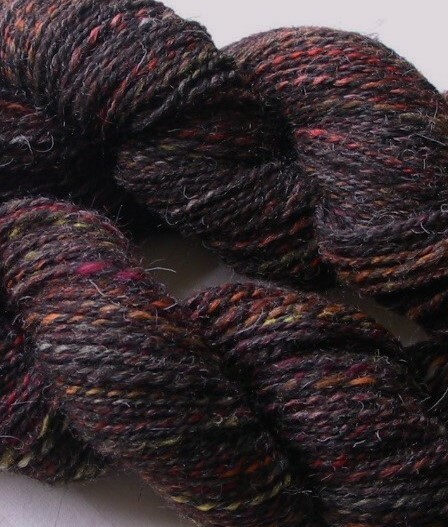 Due to high demand, the very popular 'Glenesk 'Range of handspun yarn, which knits as 4ply,is available to order in the shades featured.These yarns are all handspun by me in my home in Midlothian, Scotland. Please use contact form to order or for enquiries. Thank you. 'Sunlight on the Sea'Hnad spun 80% merino/20% silk. Knits as 4ply,26sts 32 rows to 10cm on 3.25mm needles. 100gm skeins approx 400yards. 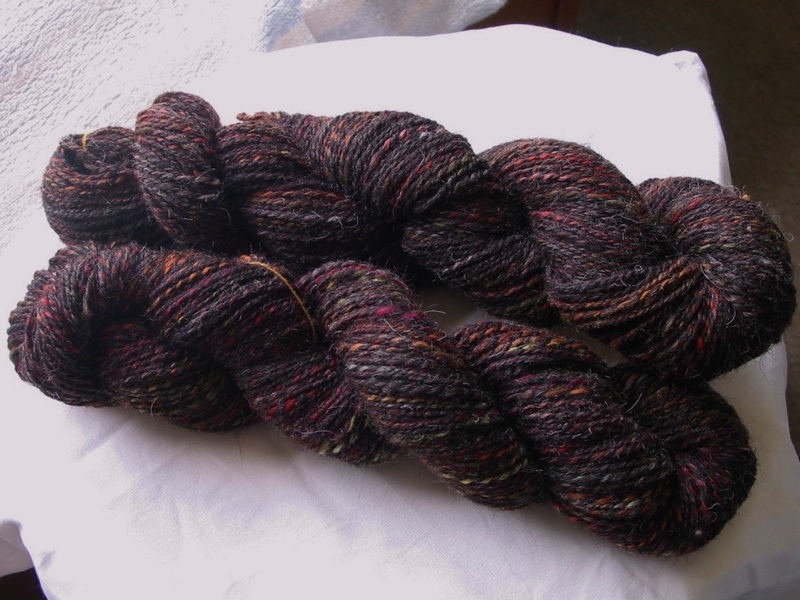 'Teal' Hand spun 65% Falkland Merino/ 35% Zwartblis. 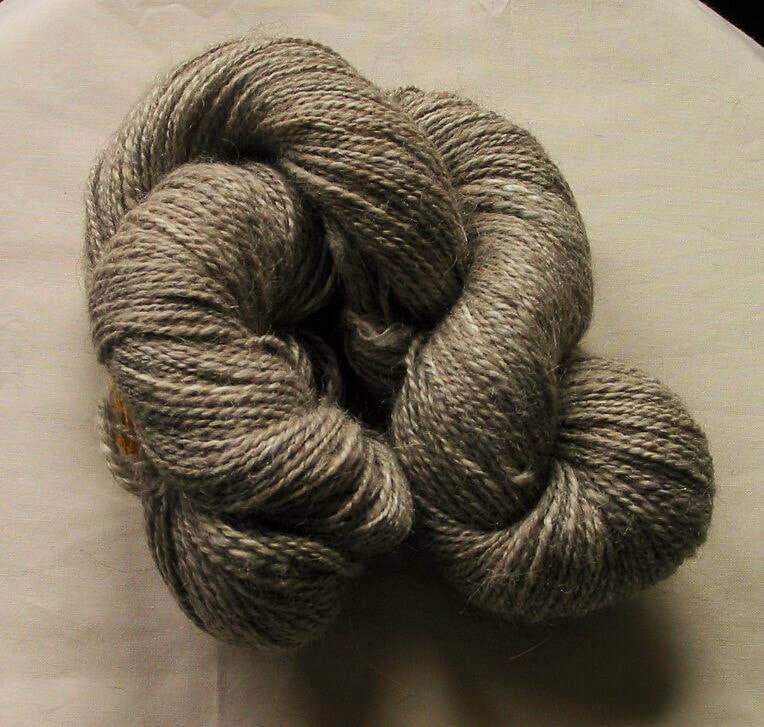 'Thistle' 65%Falklands merino/ 35% Zwartblis. Approx 400 yards per 100gms. NB This shade is not repeatable. 'Bramble Wine' Hand dyed, hand spun Jacob fleece. 26sts 32 rows to 10cm (4ins) on 3.25 mm needles. As this is hand dyed, shade will vary, depending on the fleece. Glenesk range 'Midsummers Eve. knits as 4ply(UK)to a gauge of 26sts & 32 rows to 10cm on 3.25mm needles over stocking stitch;100gm skeins approx. 400yds(369m) Available to order. 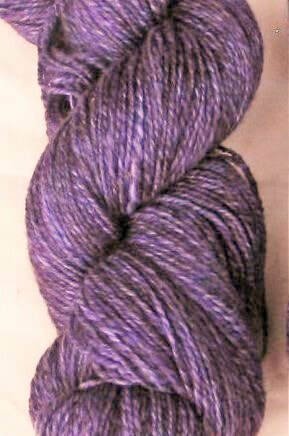 Hand spun hand dyed Lilac yarn 80%wool,20% silk/silk nep, 4mm needles 20sts/29rows to 10cm. 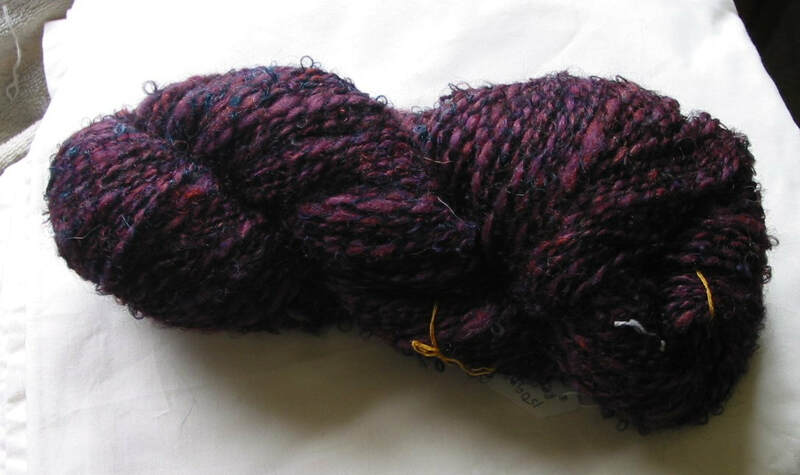 Aran/worsted weight hand spun pure wool. Plied thick and thin. 90 gms per skein. 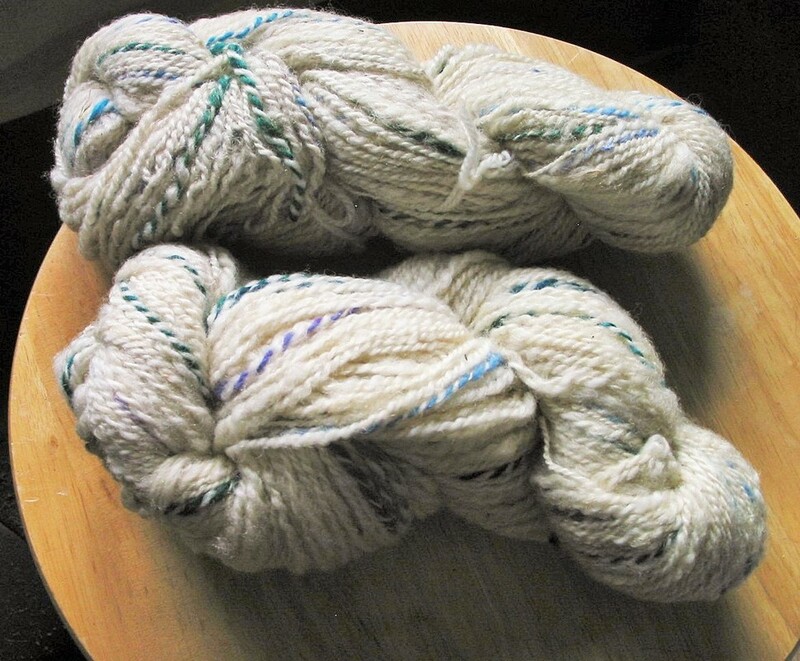 Undyed white Shetland wool with random splashes of sea shades. 5mm needle 16/18 sts & 20 rows to 10cm. 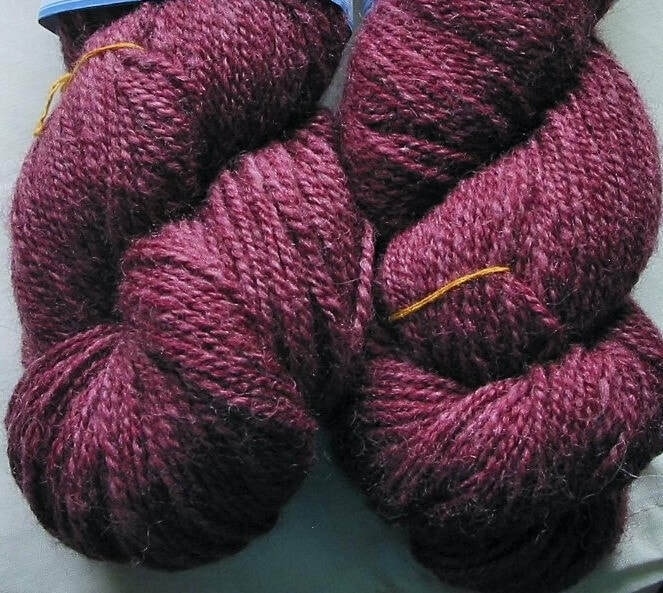 £15 per 90gms;( £11 for 70gm skein). 'Berry' 90% Shetland wool 10 % Mohair loop. Textured yarn spun as arandom slub with a fine mohair loop. Will knit as a chunky yarn on 6.5mm needles or larger (approx 14sts to 10cm on 6.5mm needles). Would also work as a weft yarn for weaving. In stock. One skein only. Not repeatable. Random spun natural Jacob fleece. available to order in Glenesk 4 ply or Pentland Aran. 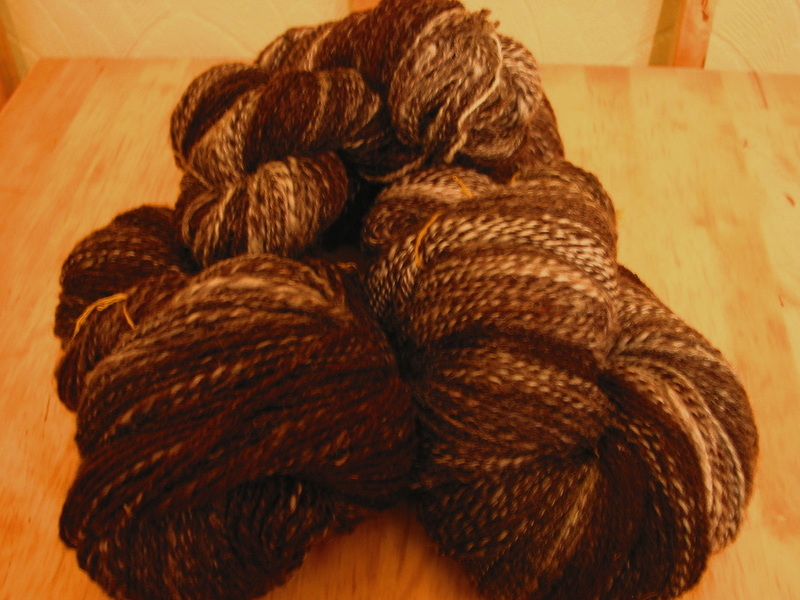 £20 per 100gms for Glenesk 4 ply; £18 per 100gms for Pentland aran. Please note that as this is natural undyed wool,each fleece is different and yarn will not be exactly the same as pictured.